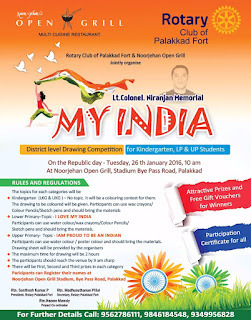 Rotary Club of Palakkad Fort and Noorjehan Open Grill jointly organising Lt. 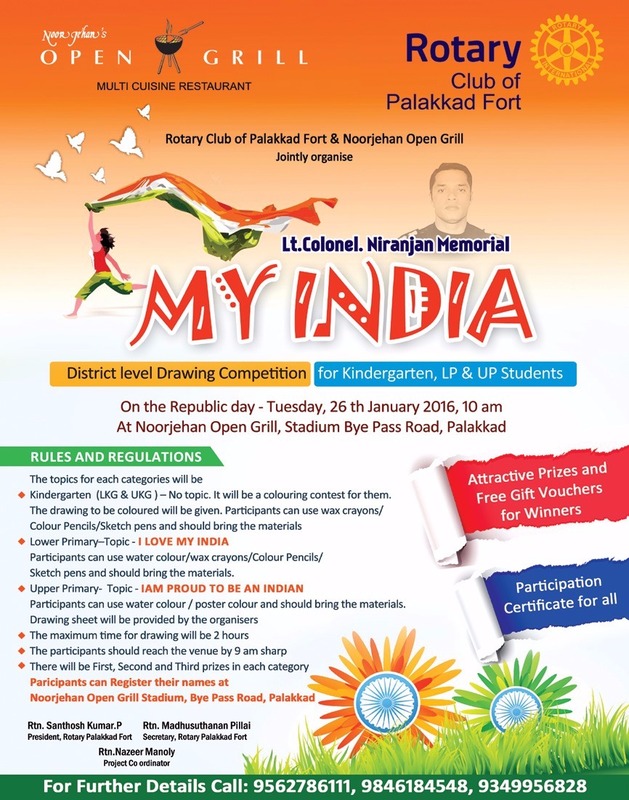 Colonel Niranjan Memorial "My India: District Level Drawing Competition" for Kindergarten, LP and UP students of Palakkad district. Kindergaten NO Topic. It will be a colouring contest. Participants can use water colour/poster colour and should bring the materials. Drawing sheet will be provided by organisers.